The Spear versus Boomerang Camper question is officially settled. Even better, 100 readers submit 300 destinations worth returning to again and again. You might want to get your 2017 truck camping plans out, and a pen. This week we suggested that there are two types of truck campers; Spear Campers, and Boomerang Campers. Spear campers go, and go, and go in the pursuit of new places and fresh experiences. Boomerang campers find places they like and return, and return, and return to enjoy their favorite spots. Obviously the vote overwhelmingly proves that truck campers are Spear Campers. We don’t like to camp in one place for weeks or months, we like to go-go-go! Wouldn’t it be interesting if we were able to conduct this same poll with folks who owned other RV types? I would bet that travel trailer, fifth wheel, and motorhome owners would skew the opposite way. Where we are go-go-go Spear Campers, they would be return-return-return Boomerang Campers. I only have anecdotal evidence to support this, but that’s what my gut says. Now for the good stuff! 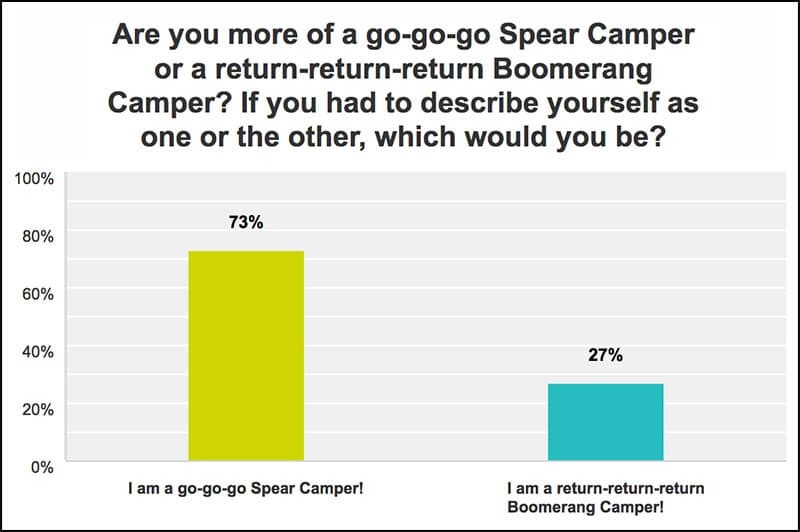 After having readers vote to indicate their Spear or Boomerang status, we asked them to imagine that they had to be Boomerang Campers. What three truck camping destinations would they return to year, after year, after year? 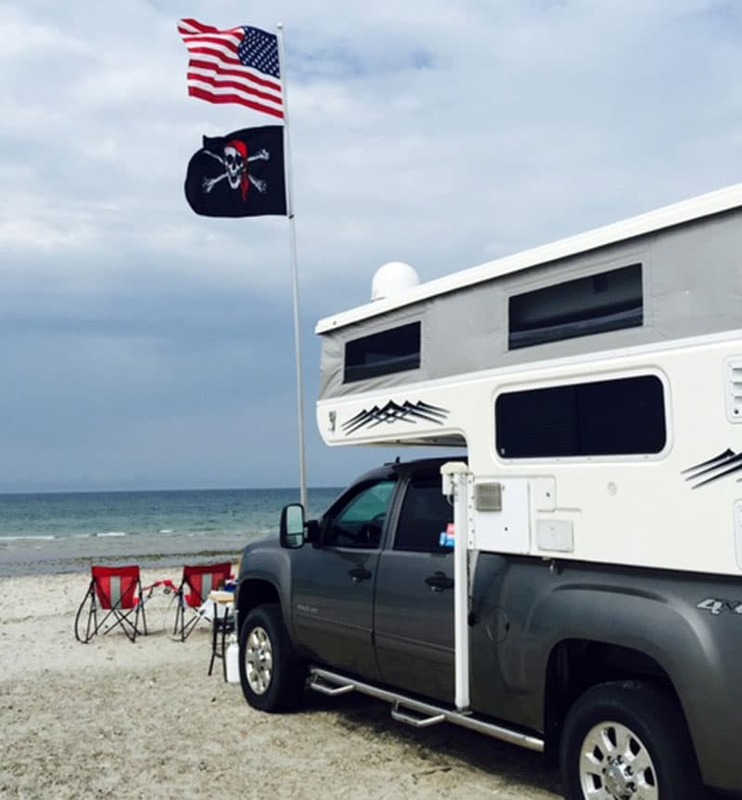 Over 100 readers answered this challenge creating a treasure trove of best-of destinations for truck campers. We were writing down places as we read the responses. You probably will too. 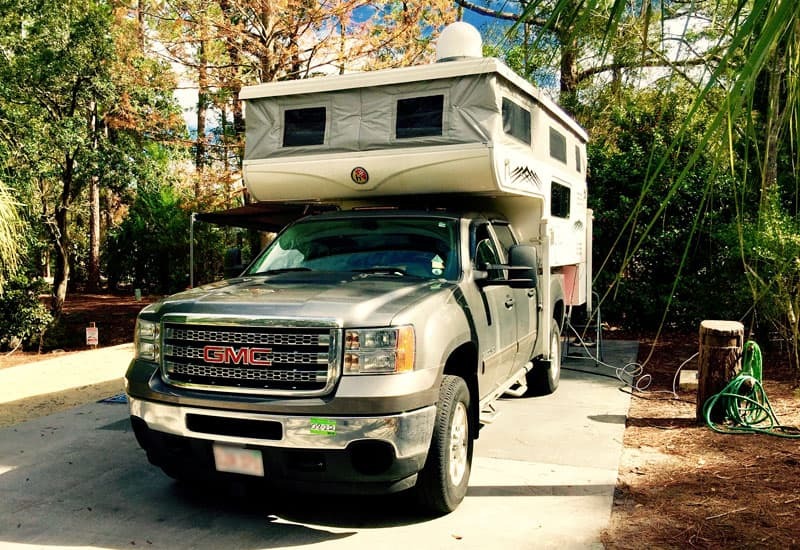 “As we are fairly new to the fun of truck camping, we are definitely go-go-go campers at this point. There’s so much to see and do. Ask this question again in a few years and then we may settle into the, “Oh, let’s go there again mode”. “1. Yellowstone National Park. Why? The park is in a constant state of change. There is always something new to see. No matter how many times we return we still have not seen it all. 2. Michigan’s Upper Peninsula. Why? This is a beautiful part of our home state. We like to visit the Porcupine Mountain region. “1. Disney World, Fort Wilderness Campground. Disney, enough said! 2. Sandy Neck Beach, Cape Cod, Sandwich, Massachusetts. Beach Camping is the best with swimming, the ocean breeze, sunsets, and campfires.